evoJet B170neo - the mid-level for all jet-models up to 20 kg / 45 lb weight. A new mixed-flow compressor allows operating an in an broader turbine speed range. 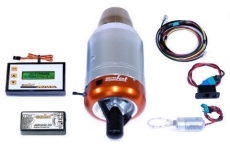 The engine features an electric starter motor and electric kerosine burner (SFL12V), providing full control over the engine start up from the transmitter. Propane gas is no longer needed. Novelty features the new single fuel line system. No additional startup fuel line needed. All sensors and valves are integrated to the engine. SFL12V - ceramic burner for fully automatic engine startup with no propane gas and no separate start-tubing. Engine sensors fully integrated and therefore best protected. 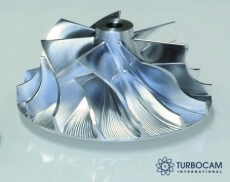 Precision balanced rotor with ceramic-hybrid bearings for best running performance. Mini JETRONIC-Ex ECU - extra lightweight and with powerful firmware. 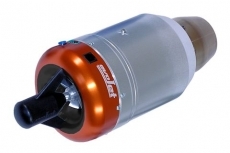 All components with full evoJet-warranty. 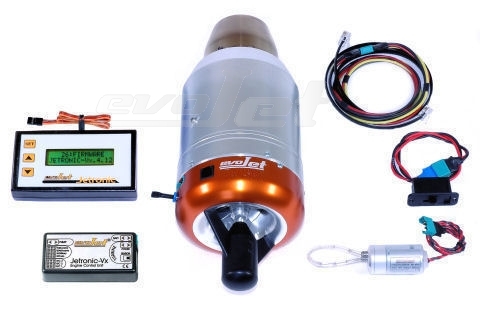 B170ex jet engine with mount, JETRONIC-Ex ECU, EDT display and programming unit, precision fuel pump with mount, fuel tubing, power-switch, wire harness, operating instructions. This Product was added to our catalogue on Saturday 26 May, 2018.